Peace was a quiet quality that I’ve always longed for as a little girl. I felt it at night, when everyone was asleep and the house was still. If I was facing a problem, that’s when I did a lot of my thinking. I’d figure a way out. My peace was often found in asking God to help me find a solution. Another way I found peace was journaling. I’d write and write, until I felt peaceful. But, these moments of peace were elusive and fleeting. This verse was given to me when I was eight years old, as a reward for jumping rope the longest at a church picnic — inscribed on a wooden plaque. It was one of my few possessions, so I always put it on my desk. I’ve looked at that verse all my life, but never really quite understood what perfect peace was. How can peace be “perfect”? It wasn’t until I went through my life-transforming journey to create space to feed my soul and rest — to make room for spiritual whitespace — that I looked up the original Hebrew for “peace”. The word is “shalom”. Shalom means a putting back together. Like pieces of a garment, sewn together to make a whole. Or puzzle pieces gathered together — found after being lost — to fit together to make a whole. And I began to understand. I’ve often found peace by knowing what to do. Or finding a solution. But, the truth is, not every problem has the solution we hope for. Most of life really is a journey to experience God — when we deeply experience our humanity and our stories. Faith is not given to us to avoid life. Perfect peace is experienced when I place my trust in Jesus. He is the One who is putting all the pieces back together again. Not me. God is putting me back together. Making me whole. Complete. But, I need to let him. Christ being born in us — in the quiet places where we long for perfect peace. Birth is a messy journey, but it is real. Perfect peace is a Person. Jesus. It’s human nature to want editorial control of our lives. But, Advent calls us to stop. To make room for God’s story to take shape in you and me. To say, as Mary once did — Let it be. When Mary first heard the news that she was chosen to carry God’s son, she experienced anything but peace. She would be unwed and pregnant. 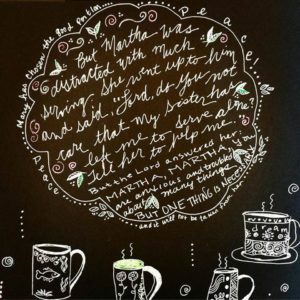 Mary had plans of her own for her engagement, wedding and first year of marriage. Do we actually believe that God can do anything? I’m the Lord’s… ready to serve. It dawned on me. What Mary saw wasn’t how things would work out. Mary had no idea what was up ahead of her — giving birth with no friends or family around, returning to raise Jesus among rumors and innuendo, and seeing her son die unexpectedly at 33, hung as a criminal. What Mary did see was that God would fill in the blanks. She was willing to be that space for His story. Today, you and I are invited to be that space for God this Christmas too. Will we fill in all the blanks? Or will you let God write His story using ALL parts of yours? This is the Peace of Christmas, God knows the way. Perfect peace isn’t found in forgetting. Shalom peace is a putting back together. Wholeness. Real. Complete. Without Jesus, we are left to only hope that things will change for the better. Together with Jesus, we can experience perfect peace because His love makes us better. God knows you and He knows the way ahead. He is your peace. And mine. What is God telling you to do today? What leap of faith do you need to take, as Christmas approaches, to let God be your perfect peace? This my one word prayer: peace. I can’t see ahead. I don’t know what to do. Here are all my fears and my questions… (share yours). How is today’s devotional speaking to your heart? Give the gift of rest to a friend for Christmas. 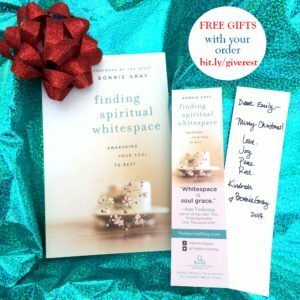 Order copy of my book Finding Spiritual Whitespace and receive some free gifts. Click here. Welcome to our special #OneWordAdvent Blog Link Up! 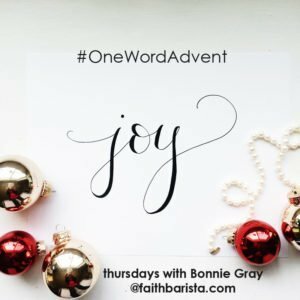 OneWordAdvent is my invitation this month to do a Thursday weekly one word prompt writing challenge for you for Advent: hope, peace, joy, love. 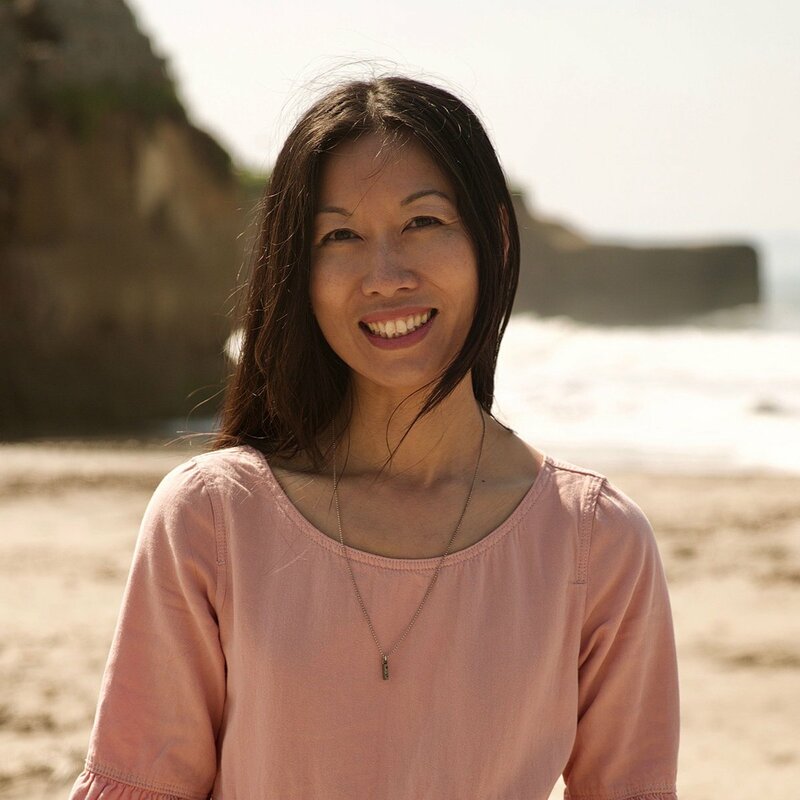 * A special thank you goes to Jamie Johnson @writinginthestillness who gifted her time and talent to create soul beautiful calligraphy just for our #OneWordArt badges. Please visit Jamie’s shop & browse her artistry! 1. Link up your reflection on our #OneWordAdvent prompt at the end of Thursday’s blog post. Click the Link Up button below & share the specific url of your post (not just your website). You can also directly share a comment. 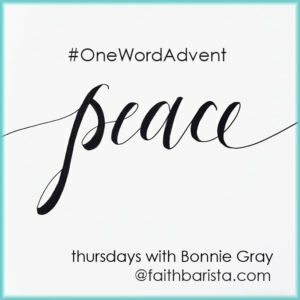 – Place the #OneWordAdvent badge in your blog post & link back to thebonniegray.com. It lets me know you’re part of this community. Download the badge by right-clicking your mouse on the image & click “save image”. – Read the post before yours and comment. Let’s savor the journey together. 2. Share your photos or art using hashtag #OneWordAdvent on Instagram, Facebook or Twitter. Capture moments that speak hope, peace, joy, love to you. Experience a more soulful Christmas. ✒️ Pick up your pen, camera or brush. Share your Advent journey. ? Share today’s post to invite a friend to journey together. by artsyfarm. love her words for a “Mary” Christmas, who chose what was better. Every week, I’ll spotlight a tagged #OneWordAdvent image from Instagram (like the beautiful one to the right) or blogger in our community. * To be considered as a spotlight blogger: please kindly be sure to use the #OneWordAdvent Badge and link back to Faith Barista in your post. 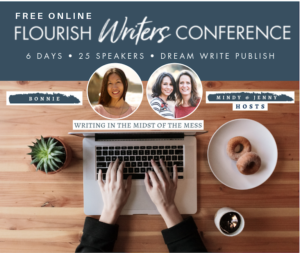 Kindreds, I can’t wait to see your photos & read your words. Thank you for sharing your voice. Thank you I so needed to here this, God moved me out of a 16 year job and replanted me, and it’s all so different and I’ve been seeking a word of peace and comfort to walk thru it and this was the word I needed ? so good to hear your journey, karen. may God continue to speak whisper into your heart — as you walk through the doorway of your new chapter. that His perfect peace will give you courage to be His story in your story! This is beautiful, Bonnie. I remember you sharing this in your book about shalom being a putting back together and I came across it again in looking at the Greek root for peace. But I’ve realized I’ve been putting myself between God and the putting together because I don’t want to release what He’s calling me to release…but if I were to let Him help me to see with His eternal eyes then this releasing would be so much easier…it would require pain, yes, but it would also release joy and peace. Thank you for your beautiful encouragement to trust as Mary did. 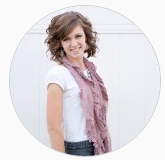 hi anna, i love hearing how you listen… thank you for sharing the words He’s shared with you in this pocket of quiet. finding YOUR story wrapped in the words shalom. to release. pain releasing joy and peace. simply beautiful. real and true. keep being courageous. let it be. His story in you. all of you. I’ve always tried to keep the peace since I was a little girl. When arguments arouse, I was usually the one who tried to bring everyone together to work out a solution. Of course, things didn’t always work out as I hoped. But yes, peace is a person and His name is Jesus. I’ve discovered peace in the midst of some very trying times that continue to this day. I was always fascinated by the words of Scripture about entering God’s rest. Slowly I am learning how this can happen but it’s baby steps as I grow in my faith. Thank you for your beautiful words of encouragement. I hadn’t blogged in a while but these prompts have caused me to get back to writing. sweet, debbie. we are the little girls who puts our hearts to the side to be the peace-makers… but Jesus stands with us now as His daughters to say, I am your peace. Your heart is with me. 🙂 I’m so happy that this #OneWordAdvent prompts are freeing your heart to speak. and write. because that’s what they’re doing for me too. and writing alongside each other is really good for my soul. love writing with you throughout the years, friend. God put the pieces together again. He molded them with love. Shone His light from within. and made a stained glass window. Be blessed in His Name, Jehovah Shalom and Prince of Peace. this is so beautiful, lisa. i’ve not read this poem before. thank you! hi beatrice!! so happy to say good morning from Silicon Valley, CA to you in Cape Town – both of us rising to the same dawn that God painted for us! i hope you have a sweet day. Thank you for these beautiful words of encouragement. I have been lucky to have found serenity by letting my past stay there and learn from it. I really enjoyed what you had to say about peace. As Christians we can have inner peace when we focus our attention on Jesus Christ, our savior. God bless you and all who read your blog! Shalom is one of my favorite Hebrew words–because it’s one of my favorite of God’s truths. Yes, Peace is a person–Jesus Christ! Amen, Bonnie. Peace to you, my friend. These verses/promises you selected and your encouraging words calm my heart this morning. Sometimes in the midst of our circumstances in life and the violence and turmoil in the world, my heart cries, “There is no peace.” But thanks be to God, there is peace in Jesus. What would we do without Him? He will put all our broken pieces together. The message God gave Mary through Gabriel that all things are possible with God has often been a promise I try to cling to. 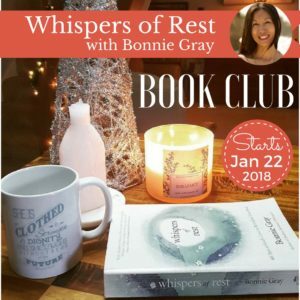 Thank you for writing this Advent series, Bonnie. It’s always a blessing to read your posts. May God fill you with His peace this season and always! I’d never heard the full definition of shalom before. How true! Though it rarely happens overnight, God DOES put us back together. I’ve experienced it, too. Thank you, Bonnie, for the Advent gift of this post! 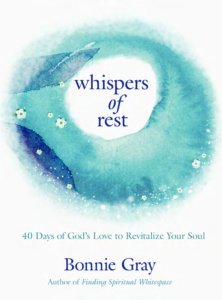 Such good thoughts on peace, Bonnie … I especially loved this: “But, Advent calls us to stop. 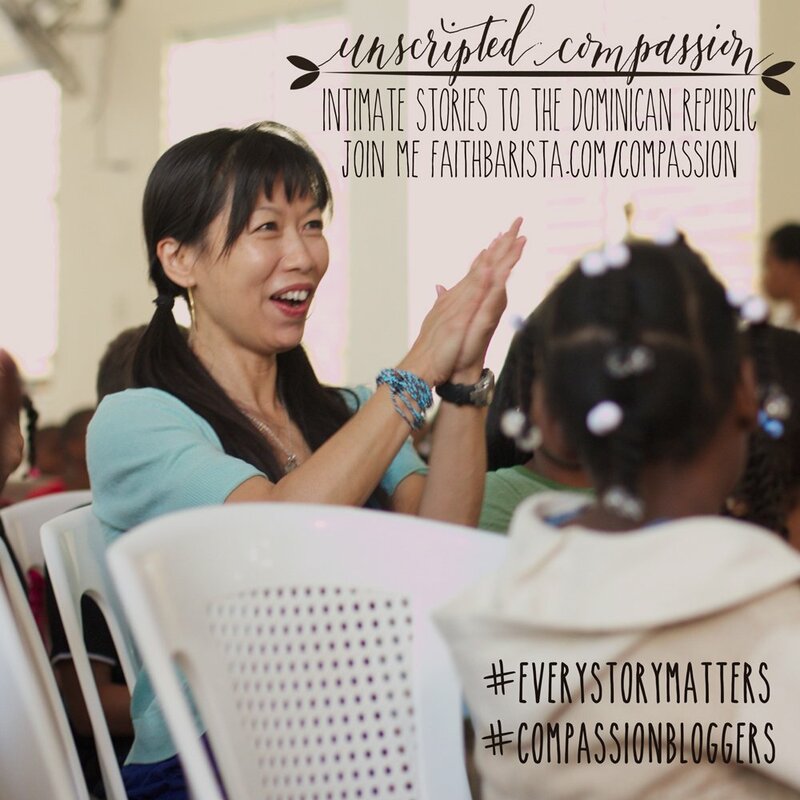 To make room for God’s story to take shape in you and me. … To say, as Mary once did — Let it be.” And this: “What Mary did see was that God would fill in the blanks. She was willing to be that space for His story.” Surrender to Him, letting Him write our stories – so beautiful, and the way to true PEACE!! Thank you, Bonnie! Come take my hand child this Christmas and that longing for lasting peace will be yours forever more. You belong to me surrender to my Holy Spirit that is now in you and you will never run out of stories to tell! those are beautiful whispers from His heart to you, julie! I love the thought of being that space for God this Christmas…and the question of…how will I fill in the blanks. Such good thoughts here…Thanks! hi amy, it’s a really good question for our journey… and how God may be speaking to us… glad you’re here. it’s a really soulful prompt that I’m asking myself… thnx for being here, emily. I waited to read this post till I had more time to relish it’s content and I am so glad I did!! This spoke to my heart in a beautiful way. As a quilter I know real well that different pieces of fabric come together to make a beautiful quilt . You may have an idea of the final quilt but the process of cutting, sewing and putting together is the beauty. I now can relate my life as those pieces of fabric and how God is placing the most beautiful pattern together to make my quilt/life story one that I can rejoice in and receive all that the Lord has for me! thanks for sharing your reflections via your quilting moments. God is in those moments with you! Feliz Navidad, miriam!